Episode 17 is here already and it’s the last one of 2014. Join me for a mince pie and a festive beverage. 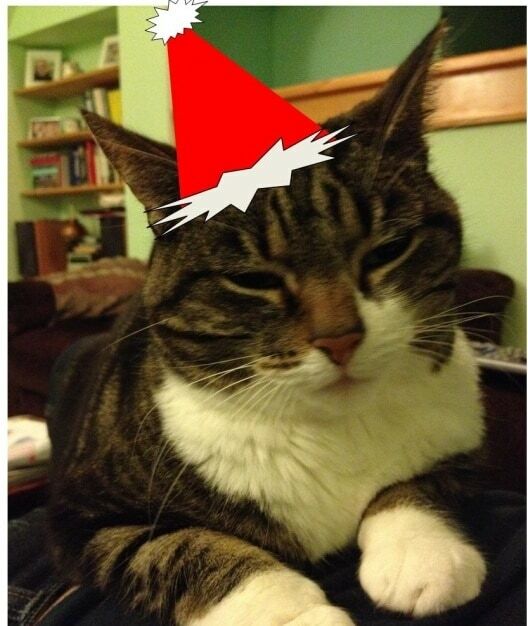 After a very brief note on a ghastly week and why I have fallen behind on the festive advent posts…. Cast on / Cast off – Vedbaek the Second in Viola is done and I am getting to keep it! You might remember I knit two shawls for my mum to choose one as a gift. Cast on TinCanKnits Viewfinder Cowl, but ripped back the long languishing Rye socks, I am also re-knitting my version of aftur, by Vedis Jonisdottir – make your knitted items work for you! This was knit in Drops Alaska, which I bought at the Woolshed, now known as the Colour Corner. Also mentioning Gudrun Johnson’s Shetland Trader Book 2. 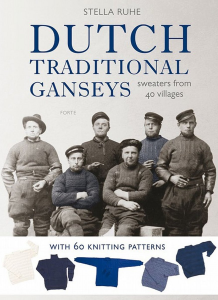 Book Review – Dutch Traditional Ganseys by Stella Ruhe. You may remember I attended her lecture during Shetland Wool Week. Fascinating insight into the history of the garment in the Netherlands and a collection of 60 patterns which have been recreated from archive images from 40 different coastal areas. A real must for knitters who love to know the journey of knitting. If you are looking for a “cast on to bind off” step by step pattern for each garment you should know that this book has great recipes for creating your own ganseys with measurements and charted patterns, but is not a pattern book in the traditional sense. Swap – Small Gestures swap is now closed and I will pair up swappers very soon. Please gift your pattern by Christmas Eve. Nice to give a small gesture to one another, but also nice to give a hoorah to our favourite designers who are having to cope with the #VATMOSS mess, which is having a huge impact on small sellers and on the way they sell digital products. See blog posts from Ysolda and Louise Zass Bangham. New Rav group – Stash heap challenge – don’t yarn diet! State your stash and join in with White Hart in knitting the stash you have in 2015. A great new group and a fantastic idea. Don’t let your stash overwhelm you, release the stash! Pet gifts – What the podcat is getting for Christmas and big Merry Christmasses to some of my favourite twitter folks and listeners pets! Next month KnitBritish Podcast is a big ONE – it’s our birthday…what shall we do to celebrate? Next podcast is scheduled for early in the New Year. A very, merry festive season and all the most wonderful things for 2015. Thank you so much for listening, writing, reviewing, commenting, recommending and joining in with KB – it’s been a super duper year. Thank you so much and Merry Christmas to you also!! Thank you, Louise, and I hope you and yours have a lovely, peaceful Christmas! Louise – I love your podcast. You always sound so warm and welcoming no matter what and I look forward to the next ones. Plus, I really like the way that you view your opinions assertively but gently. I was interested by the review of the Dutch Ganseys book. What a wonderful and important project. I saw a Gansey exhibition at Sheringham in Norfolk this summer which was touring the country. Fascinating to get up close and see the love and work that had gone into some of the real fishermen’s sweaters – darns, holes and all. We lose these patterns and social history at our peril. Most of the patterns were passed down orally and copied but not written down. It is a way of tying women, who had very hard lives, together in a more global way. More knitting history please!